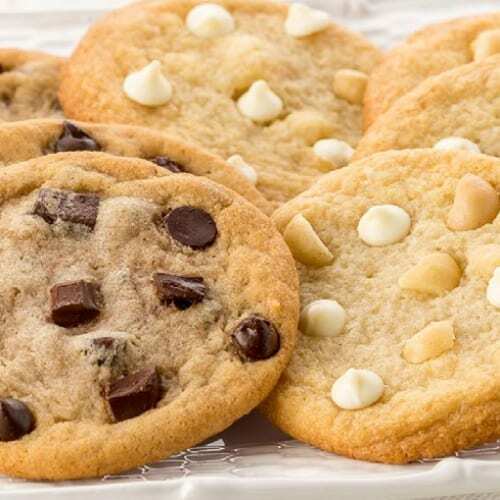 One of the biggest drawbacks to the cookie dough fundraiser is the fact that people don’t always pick up their fundraising order on the day of the delivery. Cookie dough out of refrigeration typically would go bad up until now. Too good to be true? Not anymore! Read the following Q&A from our cookie dough manufacturer. Q. Is it true that your cookie dough can be left out at room temperature for up to 21 days? A. Yes. Our cookie dough has been tested and approved for a rating of shelf stability by Eurofins, the world’s largest and most respected food and pharmaceutical testing company. Eurofins employs over 15,000 technicians throughout 190 laboratories in 37 countries. The credibility of the testing process is second to none. Q. How is it possible for the cookie dough to safely remain unrefrigerated for up to 21 days? A. The key is water activity. Our cookie dough formulation “binds” available water, thereby greatly reducing the water activity, which more simply put means little to no room for bacteria to grow. Q. Do you add preservatives to your cookie dough? A. No, we do not add preservatives to our cookie dough. Some of the ingredients that we purchase will include preservatives. Examples include chocolate products which almost always have soy lecithin added and natural egg products will contain citric acid to name a couple. Q. Do you recommend leaving the product out for extended periods of time? A. The products are shelf stable for 21 days, can be refrigerated for 6 months or kept frozen for up to one year. For best performance we suggest keeping the product frozen for as long as possible before using it. Actually we think the best thing to do is to bake it up right away. Q. Is the nutritional analysis similar to other cookie dough brands? A. Yes, you will find that most of the ingredients used are similar to other cookie dough products. However with so many brands on the market we can’t speak for everyone. Our nutrition facts and ingredients are all listed on each box/tub and are available online for you to compare. Q. What is the advantage of using shelf stable cookie dough on a fundraising sale? A. The nature of our product lends itself to the fundraising industry. Parents are busier than ever and missing a pick up night will not mean disaster for the items they sold. With this cookie dough, sales tend to be higher because sellers can easily redistribute cookie dough without having to keep it frozen at home, or when distributing at the work place. It is important to us to offer a product that actually meets the needs of the non-profit groups, volunteers and families that are participating.